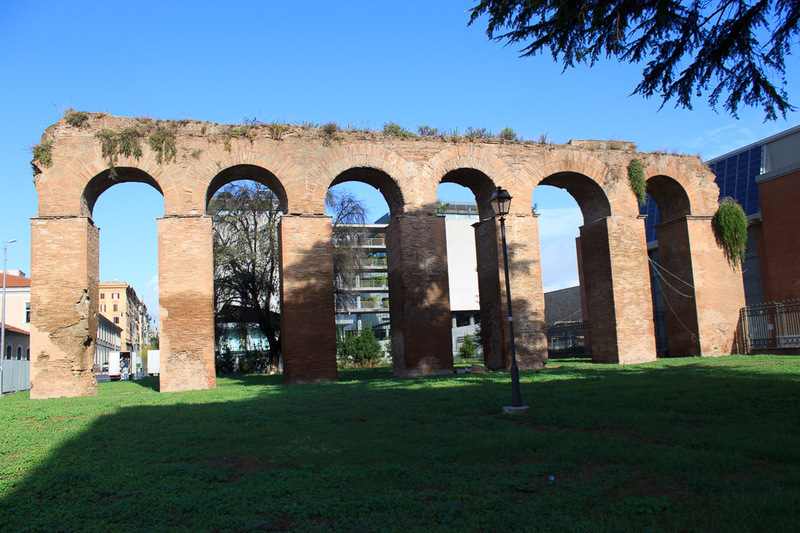 The aqueduct on Via Turati points toward the nearby remains of a huge fountain, the Trophies of Marius. This was probably part of either the Aqua Claudia or the Aqua Anio Novus. 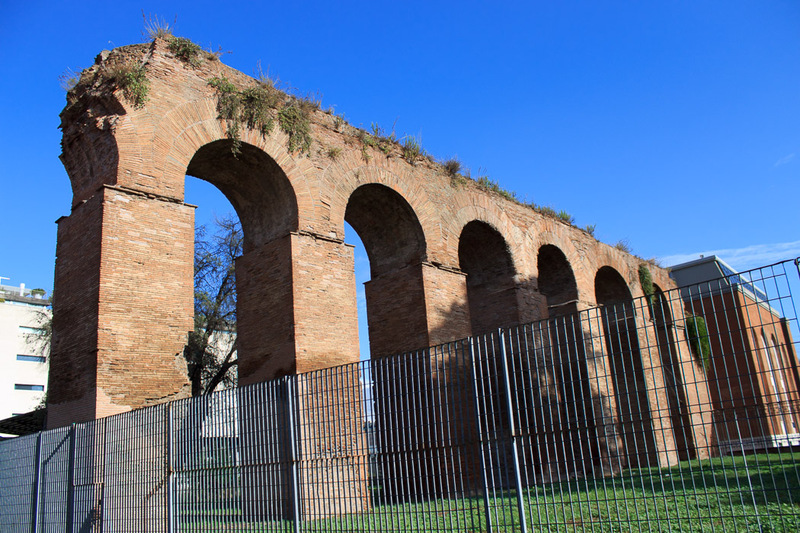 See all Aqueduct on Via Turati photos.